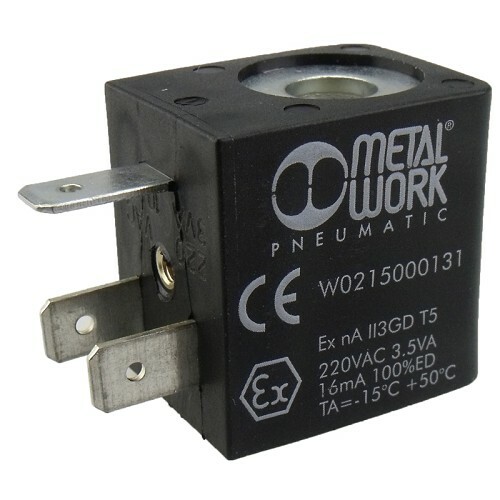 W0215000131 Coil 22 230VAC 50/60hz 3.5VA | DamenCNC B.V.
To actuate the valve in the Solenoid/Pneumatic valve, a coil is required. 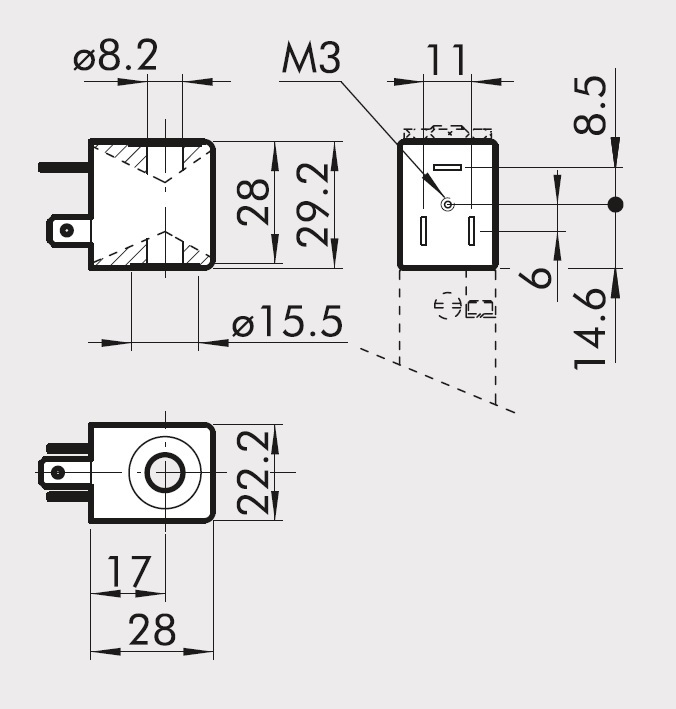 Most often we use 24VDC, since most CNC controllers already have 24VDC present. In this case we offer the 230VAC version. We do not advise to use this in new machines, only for replacement. It is common practive in new machines to use the safe 24VDC voltage. The coils are also available on request in 12VDC,24AC,110VAC. WARNING: since it is 230VAC, you cant use coil connectors with LED or Varistor, they will blow up, if you use them.